Introducing the replacement to the HD82, the Themescene HD83 projector will have two sets of 3D glasses packaged with the unit; one with the RF emitter and the extra set without. All glasses purchased separately will come without the emitter also. The HD83 offers superb performance for the price point generating saturation of colour normally associated with much more expensive models. As it is based on the HD82 chassis Themescene can offer this at a competitive price and offer very good zoom and lens shift. Although the look of the HD83 will be familiar it is slightly different as the top cover now has a ‘stealth bomber’ matt finish which looks fantastic. Puremotion4 feature is significantly better than previous versions and for those who prefer to turn off motion post processing, you may find that this feature is now something to seriously consider due to its motion smoothing with minimal artifacts. We will be shipping stock of the HD33 projector from the 23rd of September, and due to demand generated by the recent very positive reviews coming out of the USA, we would encourage customers to make pre-orders early to guarantee stock. The package will be shipping with a single pair of the 3D-RF Glasses. The greatest 3D home cinema experience! It is a widely accepted fact that the bigger the image, the greater the 3D effect - for the best results it is essential to fill your field of vision, without having to be too close to the screen. Even a large 50” TV can only create a window on the 3D world, whereas the immersion & excitement created by a massive 150” projection screen makes you feel like you are part of the action! Many movies are presented in 2.35:1 aspect ratio. When these are viewed on a 16:9 projector with a 16:9 screen black bars are visible at the top and bottom of the image. The Optoma BX-AL133 allows you to view these movies exactly as the director intended while still utilising the full 1080p resolution of your full HD Themescene projector. 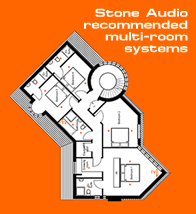 This "Fit-and Forget" solution is designed to satisfy the requirements of the most demanding home cinema enthusiast. The HD87 offers a new level in performance. Industry leading ANSI contrast, full lens shift and ultra high performance optics with 3 lens options are combined with superlative signal processing featuring PureMotion3 frame interpolation and andvanced CMS+ and colour gamut control. The HD87 is designed to satisfy the requirements of the most demanding home cinema enthusiast or simply those who require the finest possible image. The astonishing HD82 Full HD projector brings to your home a paradigm shift; a truly astounding cinematic experience. New revolutionary PureEngine technologies combine to create the clearest and sharpest ever 1080P images with the purest, deepest colours, even with the highest speed action pictures; enhanced by our stunning new motion control processing. Easy to install with Pureshift and zoom there is absolutely no routine maintenance and because Optoma are the projector experts, we guarantee that the vibrant colours will be just as incredible after five years as they are out of the box.